Sweet as chocolate and twice as dark, Rachel’s comedy treads the line between kitchen sink confessional and a bleakness unmatched by her peers. A finalist of several prestigious competitions including Funny Women, City Life Comedian of the Year, NATY’S, English Comedian of the Year and the Welsh Unsigned Stand Up Award she can move from amiable and engaging comedy to serial killers in the same sentence. 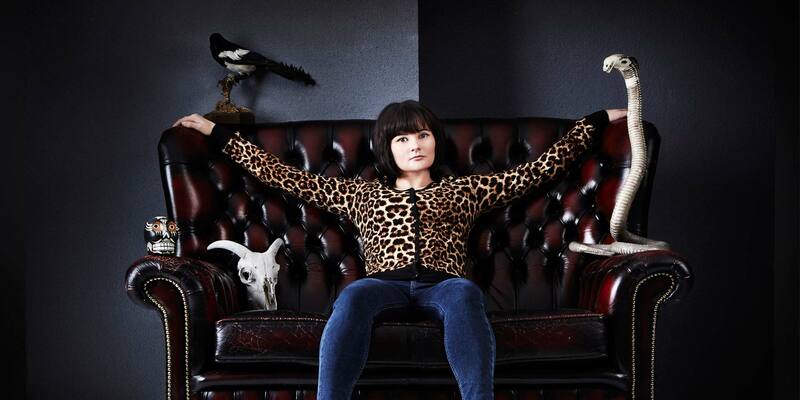 Rachel has just returned from the Edinburgh Fringe Festival, with a hugely successful run with her brand-new show, Her Majesty, where in amongst her trademark humour, she covered some sensitive issues. Aside from gigging up and down the country, Rachel co-hosts and co-writes the popular serial killer themed podcast All Killa No Filla. In just over 18 months it has acquired tens of thousands of listeners around the world and live shows have been in high demand. Rachel has also guest-starred on a recent episode of the anarchic panel show, Panel Beaters hosted by Gary Delaney and Caimh McDonnell, as well as recording a viral video for the zany, online media company, Buzzfeed.